Hey, so here’s why I probably shouldn’t calibrate on a fasting 210 BG upon waking. So, what’s the opposite of “Bam! Nailed it!”? This. That is yucky. Calibrating is tough, especially because, you know, diabetes is so easy. Hmm…. I’ve noticed that high calibrations tend to skew everything high. 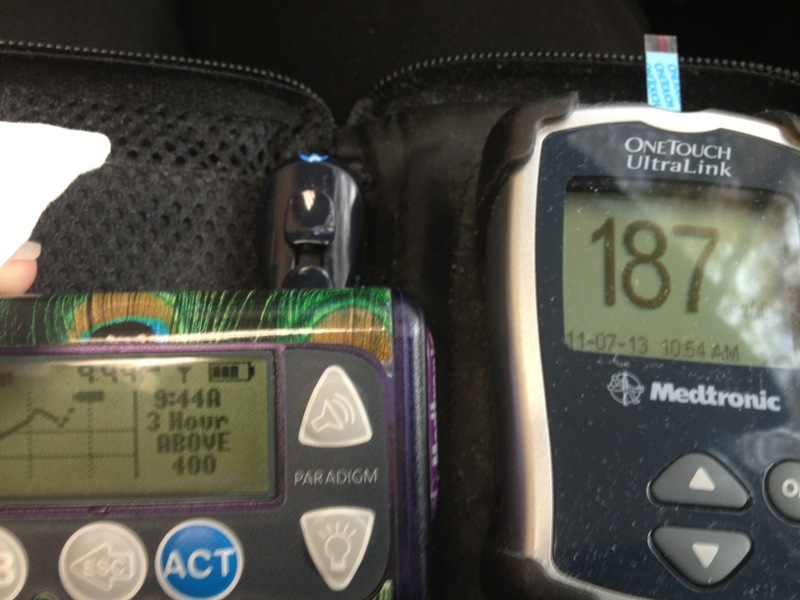 I’ve freaked out over (false) high CGM readings after my calibration was in the 200s. Best choice is not to do it. But when it’s commanding you to METER BG NOW!! !,(exclamation points added by me for emphasis) what other choice is there?